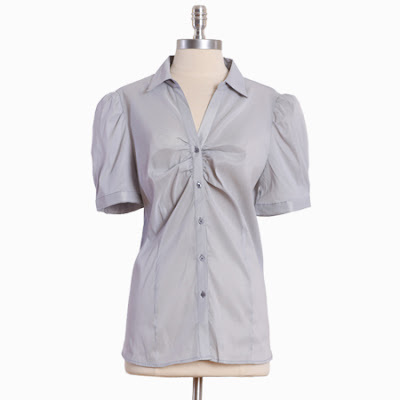 Burberry Brit's puff sleeve pinstripe blouse retails for $156 at Bluefly, a designer discount site. If you love the style of the Burberry option, but not the price tag (even on sale), check out this option from Ruche. It retails for $23.99 and would be perfect to add a feminine touch to your work wardrobe (it would be cute with a more casual option like jeans or shorts too!). Click HERE to purchase.